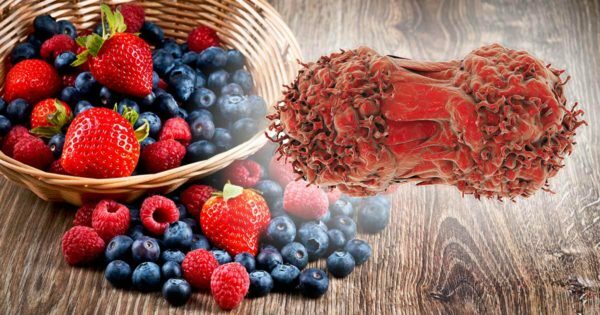 If you’re at risk of developing cancer, eating cancer fighting foods is just another way to heal your body. According to the most recent and in-depth data, it is estimated that less than one-third of all cancers have a genetic component (1). The rest are caused by a combination of lifestyle factors such as environment, diet, and behavior. If you stay active, avoid toxins as much as reasonably possible, and eat right, you will drastically reduce your chances of developing cancer. 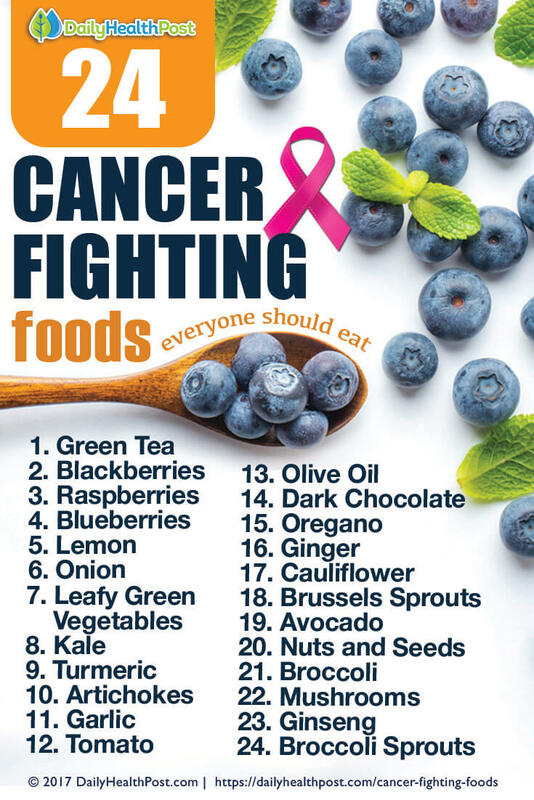 On that note, here are 24 cancer fighting foods you can easily incorporate into your diet to help keep you healthy. Whether or not you’re fighting cancer, these foods are hard to resist. Green Tea is at the top of any cancer prevention food list as it contains two amazing antioxidant powerhouses: EGCG and Quercetin (2,3) EGCG stands for epigallocatechin-3-gallate, which is a type of polyphenol antioxidant with an impressive clinical resume. In scientific and clinical studies, EGCG was found to not only interrupt cancer cell signals but induce cancer cell death (known as apoptosis). It also reduces inflammation, which is a very important part of cancer prevention. Quercetin another well-known antioxidant is available in supplement form in most natural food stores. Nothing beats getting these compounds through whole food methods, however. Quercetin helps to reverse cell oxidation (a type of cell damage) and also induces apoptosis and inhibits cancer cell growth in clinical studies. 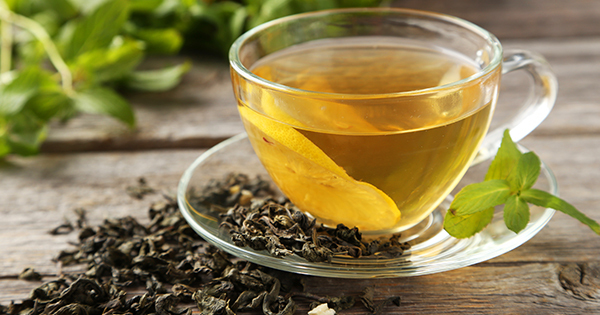 Green tea can (and should) be consumed daily. Just be sure you don’t steep in water at too high of a temperature or you’ll destroy some of its beneficial components. Allow boiling water a few minutes to cool before adding your tea.